U.V. Gural’s non-fiction book, Film History, is written with film lovers and film students in mind. The 200-page book is composed of a number of chapters that discuss the beginning of film, its evolution and the development of various film disciplines until the present state of the industry. From the works of Aristotle, Alhazan, and Muybridge, until the innovations of the Lumiere Brothers and Thomas Edison, this book is a treasure trove of information that every serious filmmaker and cinephile should know. 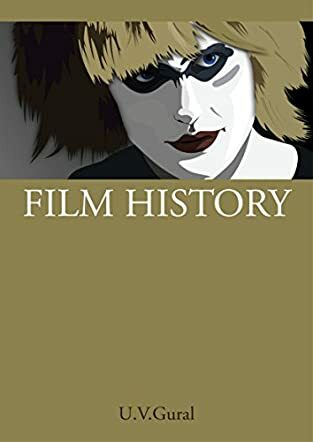 Film History covers a broad range of topics like the development of cinema in the United States of America, France, Italy, Germany and other countries. Aside from this, it also discusses the works of notable directors like Alfred Hitchcock, Ingmar Bergman and Steven Spielberg and the different film genres that have entertained the world through the years. One of the things that make Film History a must-have for anyone who is interested in films is the amount of information that author U.V. Gural is able to include in his book. It is, admittedly, not an extensive write-up about the history of film and various film cultures in general, but it contains important points about the beginning of films until the state of contemporary cinema as well as other useful information about world cinema. What is highlighted in Film History is the evolution of film, the so called seventh art, as shown by the development of genres like Poetic Realism, Film Noir, Neo Realism, Surrealism and Art House Film, just to mention a few. Reading this book is like getting a crash course in film studies without the actual need of going to a film appreciation workshop or course. As a filmmaker myself, I recommend this book to all film lovers out there!